The reception at all the marinas has been nice. No less at Bundaberg, give you a tip – excellent. The whole Bundaberg Marina complex and available service are much larger than one might expect from coastal towns and smaller cities. There is a dedicated portion of floating dock for new arrivals; it has a locked gate. One is not allowed to leave one’s yacht until Customs (now called Border Force and quarantine) arrives. Australia is very, (sorry), very-very strict about arrival procedure, and penalties certainly apply. On the other hand, the Customs officers are very courteous and efficient, despite the quick procedure. Quarantine takes longer. The lady officer has a list, and she must tick boxes thorough examination and takes samples of wood in hidden corners. All the woodwork in my yacht is Australian built. It helps. I guess we have always had quarantine, but the inspector now has to tick plenty of boxes. And they charge you near $350 (not got the receipt with me just now, because I am ashore), with a double charge on the weekend. Waiting on the dock, on the other side of the locked gate, was Richard and Maree Stainton. Richard, in his former younger days, was a member of Royal Perth Yacht Club. Heaps of sailing on my Perie Banous’, and to Sydney and back on Parry Endeavour before I did (as they put it) ‘bog laps’. 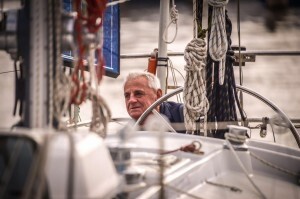 Richard is a sailmaker with Martin Morison – (I spelt that right, by the way). Martin owns the property, sail loft and business; otherwise, they work as a partnership. Now, as in other years, several years apart, I stay at Richard and Maree’s home. This is the first time I have slept ashore in 10 months. Richard and Marie have two dogs. One is a two-year-old Blue Heeler – Australian cattle dog – and the other is a rather large, friendliest, mixed-up cattle dog. The dogs treated me with great friendliest and excitement. Weird, because they do not always do that. Richard says they notice body language. Obviously, Maree, Richard, and I are on the same, know each other, wave length. For example, not far from the Stainton’s is a Jehova Witness church. When the couple, missionary’s I imagine, are 50 yards away, if not more, the dogs start barking. I guess not supposed to be friendly. 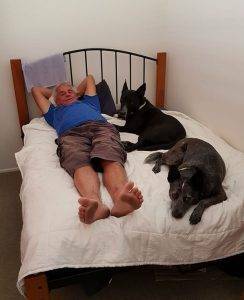 Anyhow, the dogs seem to treat me as one of them. A dog! They jump on my bed. The blue heeler at the foot of the bed, the other, and bigger, seems to jag the most inconvenient spot for me and takes over. Doesn’t want to move. It won’t move but licks one to death. This is all new and strange for someone who is not a dog owner and has been confined to a yacht cabin for the last 10 months. In Bundaberg, a great follower of my activities is Mike Virgola from Peter Hansen Yacht Brokers, MacKay and Bundaberg. He was incredibly pleased to meet me and presented me with a limited number release Black Label 10 year Bundaberg Rum. It is something one would stack on your top bookshelf at home. Too valuable, and the thought, too sentimental to touch, let alone drink. 40% alcohol. Gosh, how does one actually do that? I remember, seven years back, buying a bottle of Pusser’s British Navy Rum in the British Virgin Islands (Caribbean). Thought I would bring it back for Captain Graham Wright AM. He was the Naval Engineer responsible for Australia building the six Collins Class Submarines in South Australia. Captain sail of Royal Perth Yacht Club. I stacked and stowed the Pusser’s British Navy Rum carefully on my Yacht. Back in Bundaberg: great pleasure Fred Green turned up (a bit older now). Fred is a former member of Royal Perth Yacht Club. In 1974 (might have been 1975), Fred sailed a Duncanson 29 to Durban from Fremantle, Western Australia, all the way across the Indian Ocean – single handed. That sort of caper is a bit novel for WA. 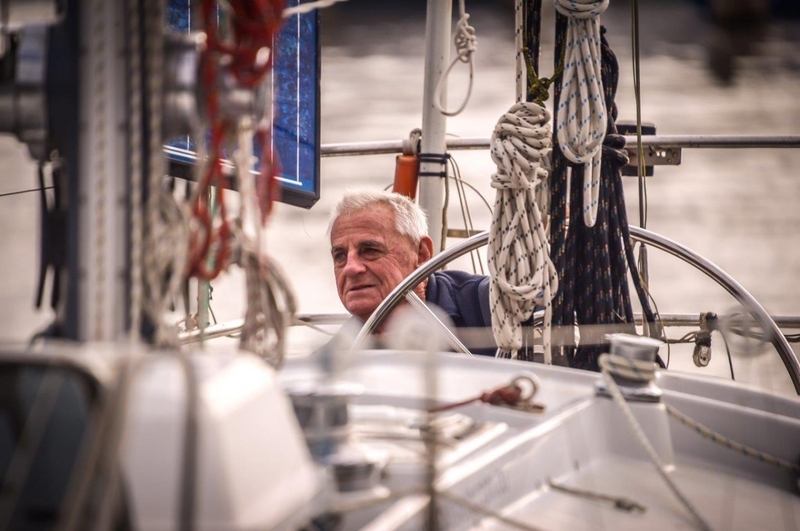 Some months later, with Peter Nichols (with his blaze of red hair that attracted the chick’s everywhere), we two sailed up – 1975 – to Durban on route to Cape Town, in order to do the 1976 Cape to Rio Race (Cape Town to Rio de Janeiro – South Atlantic). When we arrived Durban South Africa, Peter flew back to Perth to rejoin his girl friend (he was pining for her). There was crew available for me in Durban, but I thought if Fred Green can get himself here all by himself, so can I. Crossing the Indian Ocean, I read Sir Francis Chichester, Robin Knox-Johnston, and Alex Rose. I thought I could do that. Fred green was the trigger. So, in 1976, I sailed single handed to Cape Town. (Crew for the race). Chichester, Robin Knox-Johnson and I had a fair bit of sailing experience first. Anyway back again to Bundaberg. 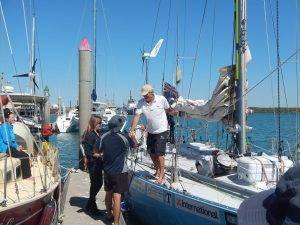 When I left Fremantle, Western Australia, in October 2016, I was part of the ocean race to Shark Bay (I was cruising rigged), and I had a brand new mainsail, made by Rolly Tasker Sails (Thailand). For 500 N Miles I used my new mainsail. Wanted to keep it that way. Who wouldn’t!? So I took the mainsail off and stowed it below, still new, 9oz cloth, maybe a bit more, and fitted my previous Rolly Tasker mainsail. This sail had already done a circumnavigation, including a leg to the Falkland Islands. 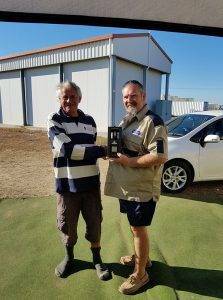 By Bundaberg – now – this sail has done two Circumnavigations. The sail is UV sun brittle. Time to donate to my Bundaberg sailmakers. Getting to Western Australia, I am mindful of westerly front squalls in the Great Australian Bight. Need the new mainsail with its high storm reef. I took the new mainsail to the Bundy sailmakers to alter the SS leach cord jammer cleats, which are riveted with aluminium rivets, with hand sewing. Plus, my current working jib, I only ever use (originally intended for yacht racing) to attach a sun cover to the leach (Furling jib). Richard tells me I’m not getting the sails back unless I attend the Bundaberg Yacht Club’s Opening Day on 9th September. Guess I’m attending the season Opening day. Don’t tell them. Want to come anyway. Way to go Jon. Loved your comments about the sails and Bundaberg! Hope I get to see you on the Gold coast. More Qld hospitality there! Hi, Jon, Congratulations on arriving back in Australia! Hope the rest of the trip is a smooth one.